When the Beijing Olympic Games start on August 8, 2008, you'll be able to watch them both online and on TV. NBC, which holds the broadcast rights for the Olympic Games, is teaming up with Wavexpress' TVTonic service to offer free downloadable videos of all the Olympic sports. The only catch is that you need to have Windows Vista installed on your PC. This, sadly, leaves out Mac and Windows XP users. TVTonic will be powering NBC's Olympics on the Go software, which will let you watch different channels of Olympics programming 12 hours after each event is broadcast. 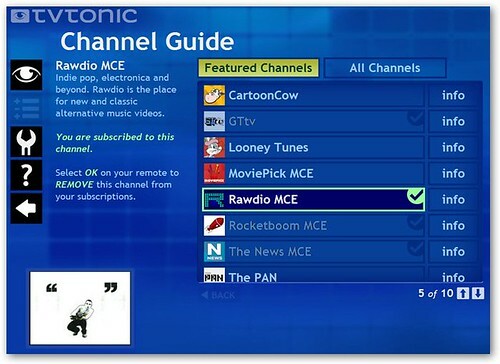 Currently, you can watch around 350 channels like TechTonic, Cartoon Cow, and Rocketboom on TVTonic. To watch the Olympics online with TVTonic, you will need either Windows Vista Home Premium or Ultimate editions because only they have Windows Media Center software installed. You will also need Internet Explorer to run TVTonic. Since shows are downloaded, you will need a good broadband connection for the best experience. Watch Olympics Online will also be streaming it for free. they have lots of cool videos already for the games. I've made a summary of links on how to watch the Olympics online. Uk users are getting the best deal with the BBC - NBC is being a little bit restrictive. Thanks a lot, NBC, for leaving out us Mac users. Thumbs down! 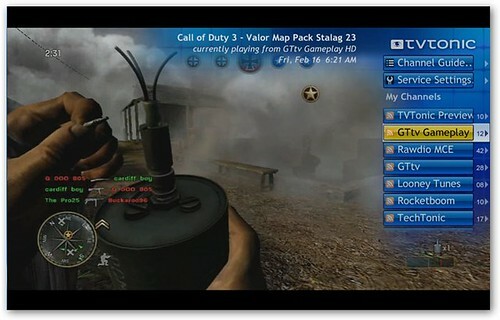 What about online viewing for XP?